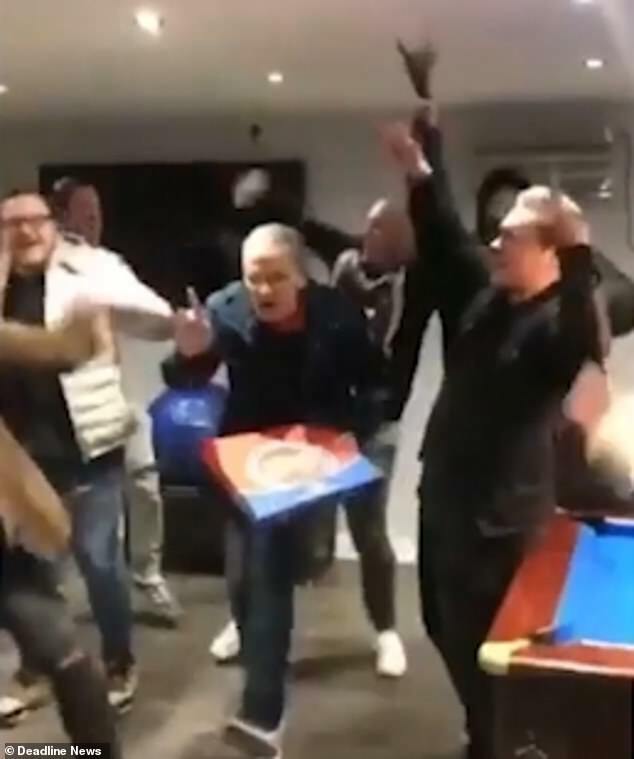 This hilarious video shows a group of friends throwing surprise parties for three pizza delivery men. The unsuspecting drivers are seen approaching a room in the dark before being stunned by bright lights, party poppers and wild dancing – as well as chants of ‘pizza, pizza’. 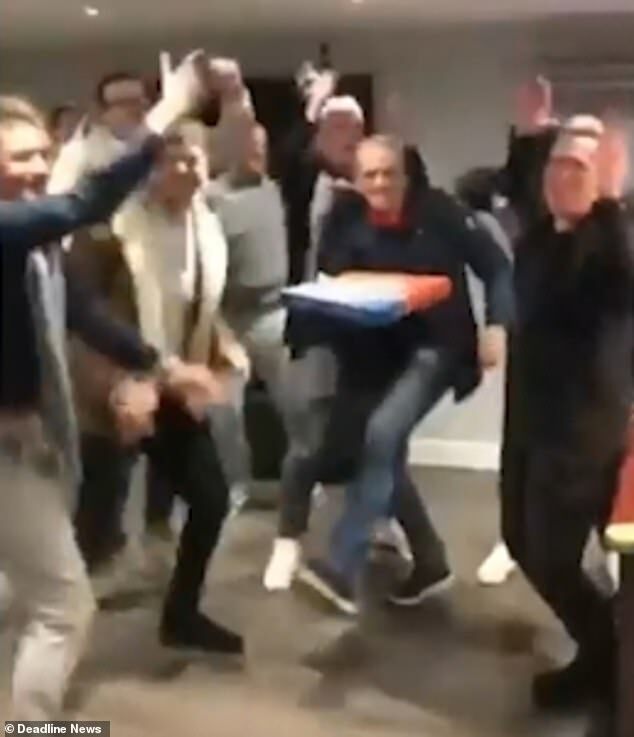 The delivery drivers take the surprise in good spirit with one even joining in with the dancing at a house in Chelmsford, Essex. The third delivery driver is even presented with a celebration cake complete with candles for him to blow out. The hilarious scenes were filmed and uploaded to social media prankster Kevin Freshwater’s Facebook page on Sunday. The video, filmed last weekend, has since been watched more than a million times. At the start of the clip, the first pizza delivery man approaches the open patio doors of the house. All the lights are initially off as the group lay in wait in the darkness. As the pizza man walks in, the lights are switched on and the group yell out ‘surprise’. They surround the pizza man, putting their arms around his shoulders, jumping up and down while singing the pizza song. The delivery man, who seems considerably older than the group of friends, eventually joins in the wild party. 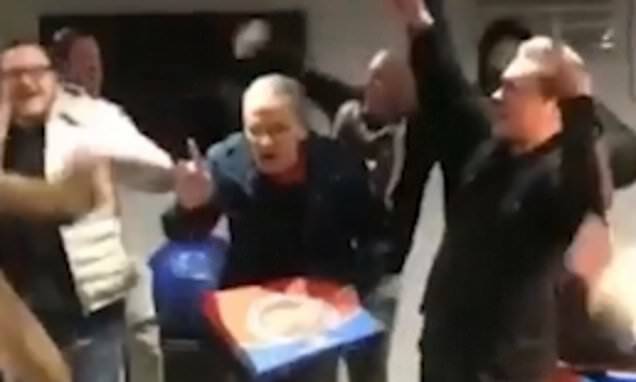 He raises a finger in the air and dances away while holding the pizza in his arms, as the others continue singing. Next, you can see the second pizza delivery man arriving. As the lights are switched on, the group repeat the surprise and jump out, dancing in joy. This time confetti is blown into the air and the ‘Crazy Scotsman’ – an alter ego made famous by comedian and prankster Hak – joins in the celebrations holding a bottle of Jack Daniels. The third pizza delivery man is met with the same level of celebration. More confetti is used, and people dressed up in wigs and colourful clothes jump out and dance to the song.The last delivery man blows out candles on a cake as the video ends. The video was a hit on Facebook with users particularly approving of the older delivery man who started joining in with the dancing.